Vicky Campbell ran the Birmingham Half Marathon for Friends of Rosie in October raising over £500 in her run for research. 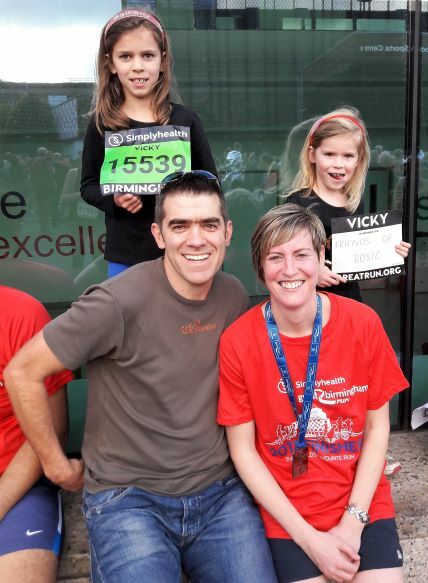 A huge thanks to Vicky and her family for an amazing achievement and completing her run for research! If you would like to fundraise for Friends of Rosie through your own challenge event, just view our Challenge Events guidance for more information on how to get started.